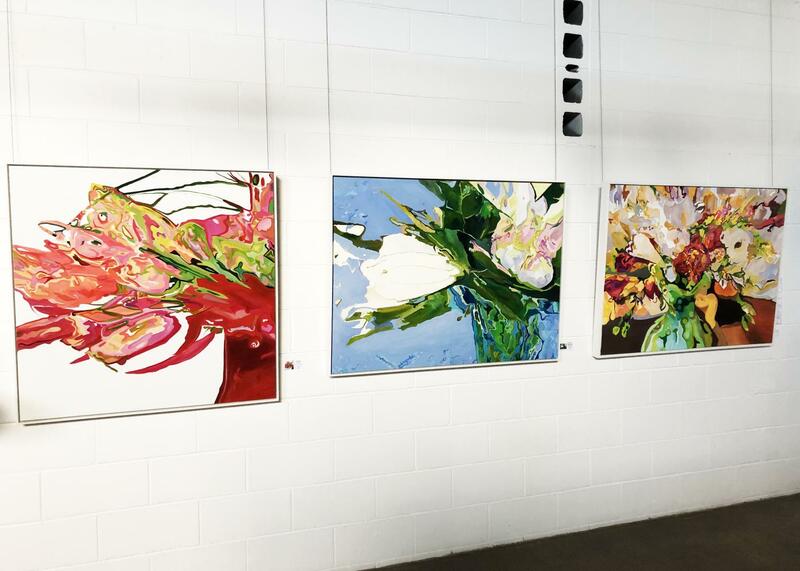 As shapes and colours disintegrate into fragments, Jennifer Gabbay’s creates images through diffusion and distortion, striving to express movement and rhythm and an emotive spirit in her oil paintings. Her studio in the Blue Mountains provides her with an inspiring base to explore her observations of her travels and experiences of everyday surrounding beauty. My oil paintings have evolved into a distinctive style via the disintegration of shapes and colours into fragments thus creating images through diffusion and distortion. I strive to express movement and rhythm as well as an emotive spirit through illusions. My work focuses on merging ideas, diverse cultural customs and personal experiences into contemporary abstracted images of both the figurative and visible worlds. The distortions of movement and colour evoke radiance and diversity. Breaking down motion via the interpretation of expressive mark-making generates sensation and spirituality taking me on a journey from initial ideas through to painting the work. The reconfiguration of the traditional becomes an illusion of painterly motion, a diffusion of light and colour interactions – distortion changes an object’s usual shape to communicate ideas and feelings.